The worst thing about cutting logs with a chainsaw is all the bending down and picking up, stacking and generally time spent not actually cutting. 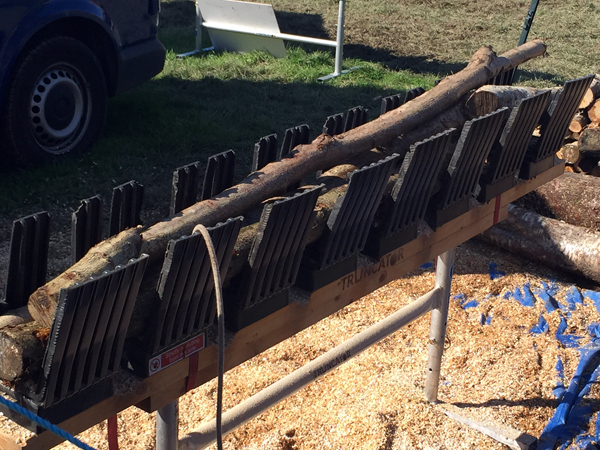 Richard Bowness and Steve Tonkin have solved the problem - they make a sawhorse with a set of ingenious "cups" that space out branches for cutting and holding the cut logs. 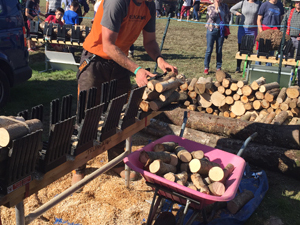 There is a hinge so that the cut logs can then be tipped into a wheelbarrow. 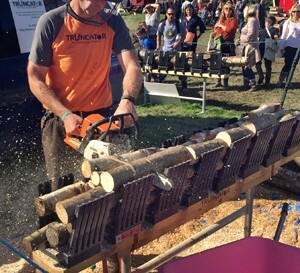 "Actually," explains Steve, "the name 'truncator' was suggested by our patent agent but it describes well what this device does - helps to cut up trunks and also truncates the task. We make the cups out of recycled plastic from old car batteries: this sort of plastic is particularly strong and doesn't splinter if it gets caught by a chainsaw." A bench with a set of four cups costs about £160 but it saves hours of work and truncator.co.uk are now successfully exporting to Norway, Finland and Australia. Steve says "we've now been going for 3 years but already we've sold 1,200 sawhorses. Another real satisfaction is to think of the thousands of hours of unnecessary work that we must have saved through our truncator benches." Love your article post. This post is really informative who want to make saw horses. Saw horse is the useful things. It is used lots of outstanding work. Saw desk, table saw cutting saw the desk, etc. 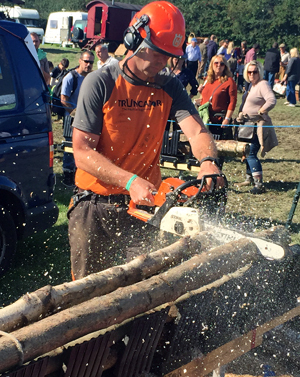 Essential tools for wood cutting and safety and easily to cutting. An old tyre, an aid to log splitting?